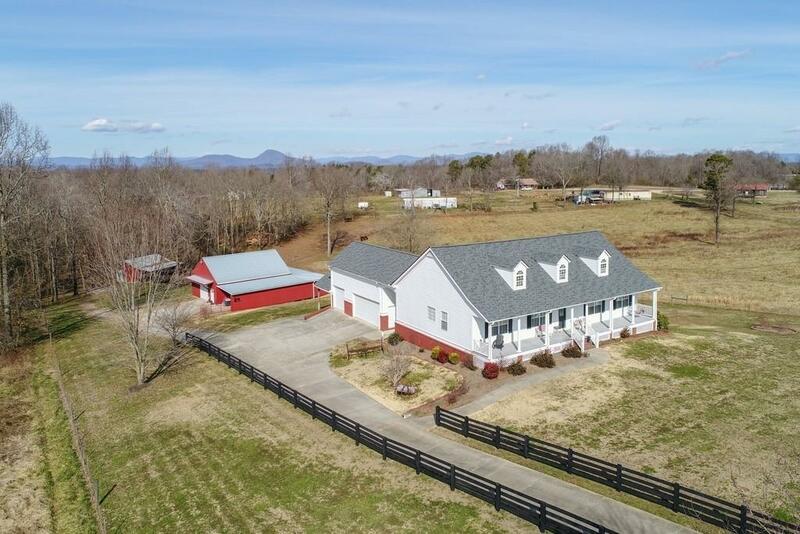 Beautiful small farm on +/- 8.67 ac. w/ranch home on full finished bsmnt. 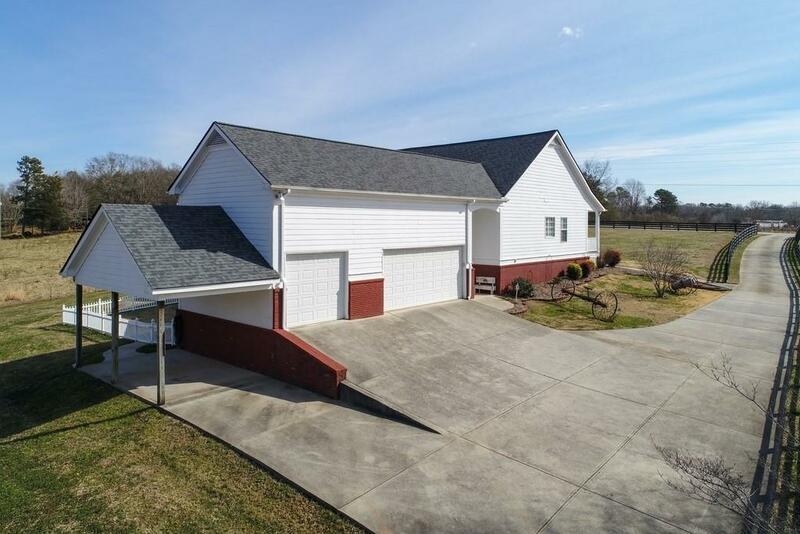 3 car garage, w/shop & horse barn w/stalls. 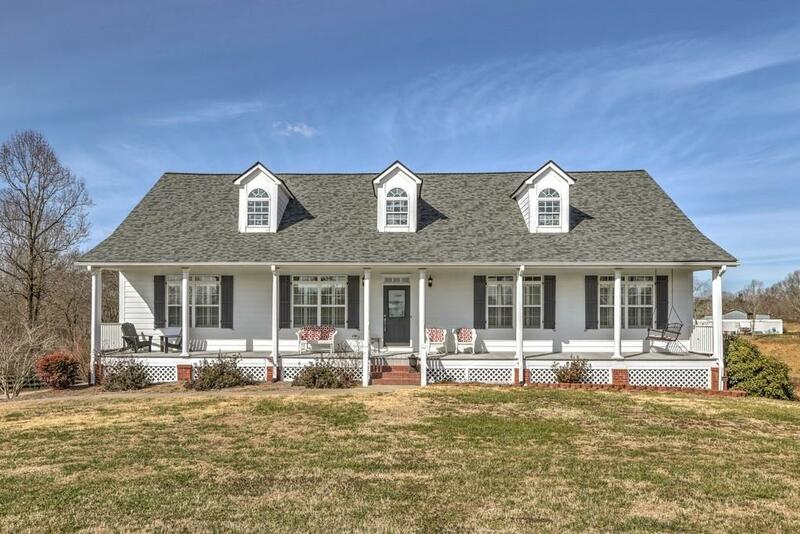 Home sits off the road w/fence lined paved drive. 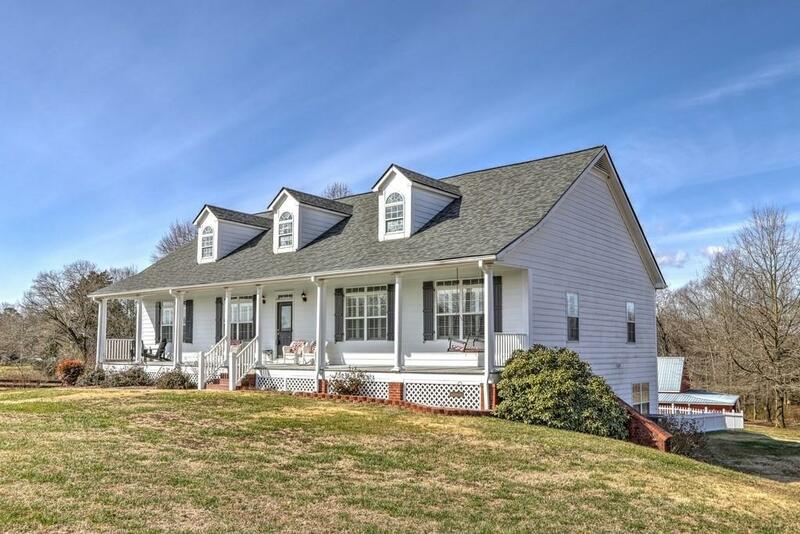 Front porch & oversized screen porch on rear, both w/trex deck. Fenced front yard, fenced area in rear & pasture fenced area. Home is 3BR/2.5 BA on main, PLUS addtl 2 BR/1 BA in finished bsmnt. Red oak hdwd floors, ovrsized laundry rm, built ins, newer roof & HVAC. Great kitchen w/island, & claw foot tub in the owner's bath. You will fall in love, but do it quickly, before someone beats you to it!